The most widely read and respected history of art and architecture in the English language for over 85 years just got easier to carry. GARDNER'S ART THROUGH THE AGES: BACKPACK EDITION, BOOK B: THE MIDDLE AGES, 15e is part of a six-book set that provides you with a comprehensive, beautifully illustrated tour of the world's great artistic traditions. GARDNER has built its stellar reputation on up-to-date and extensive scholarship, reproductions of unsurpassed quality, and the consistent voice of a single storyteller. 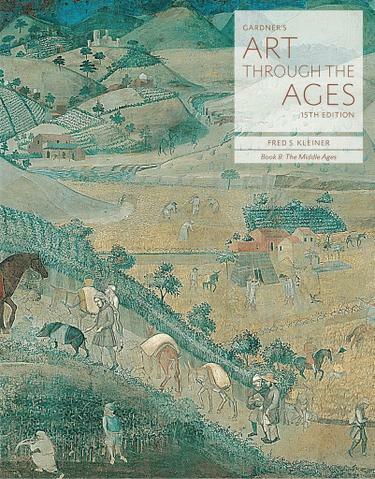 Author and award-winning scholar-professor Fred Kleiner continues to set the standard for art history textbooks, combining impeccable and authoritative scholarship with an engaging approach that discusses the most significant artworks and monuments in their full historical and cultural contexts--all reproduced according to the highest standards of clarity and color fidelity. The Fifteenth Edition includes new images, new boxed features, updated maps, Google Earth coordinates for every artwork and site in the text, architectural reconstructions beautifully rendered by John Burge, and more. In addition, more than 40 reviewers contributed to the accuracy and readability of this edition. For half-year and Western-only courses, books within the six-book set can be purchased individually.